SCD Group: Association Marketing: 27 times! Really? Yes! In today’s communications cluttered world, many association marketing plans fail to connect because they stop too soon! Well, despite our best marketing efforts, people miss two out of every three messages! Too much clutter. Your target audience misses two out of three of your messages but you need to connect with them nine times. So, to really connect, you need to send your message 27 times! To reach the Rule of 27 goal, I established a “grid” system that used all our communications vehicles. Thus we achieved the Rule of 27 by putting the message (say conference registration or member renewal) in multiple places: newsletter, email, snail mail, social media, magazine, etc. And, keep in mind, while the core message (call to action) can be the same, you can/should use different headlines and appeals to reach the audience. I once interviewed a highly successful membership director – he grew his association from 100,000 to 300,000 solely with direct mail. I asked for his “secret.” It was simple. He followed a “grid” when approaching prospects ... if they said no to appeal #1; they received appeal #2. And, if they rejected appeal #2, they received appeal #3. He had seven distinct appeals! 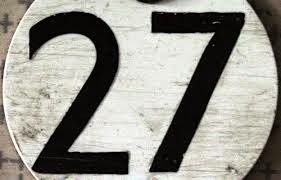 Given the clutter created by social media, the Rule of 27 is even more important. As I wrote earlier, Guy Kawasaki recommends you spread message delivery across multiple time zones.